Nothing quite says timeless bride quite like lace and pearls, and you’ll get them both when you polish your wedding day with our Vintage Lace Wedding Collection. 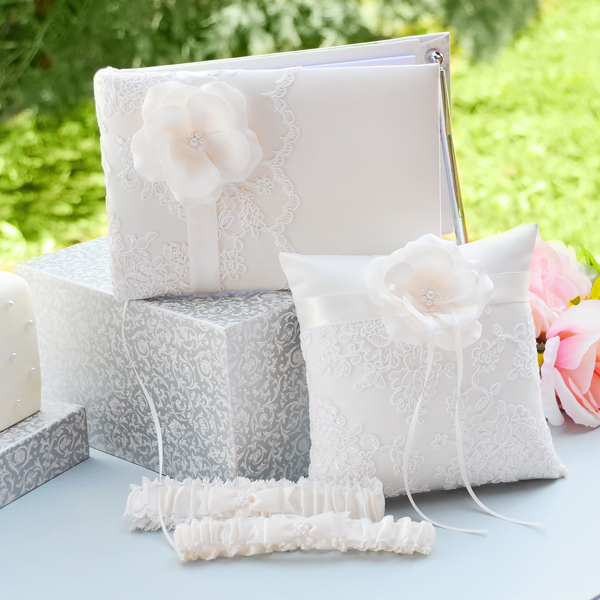 Featuring a guest book, pen, ring pillow and garters, this eternally classic collection features delicately trimmed lace and floral accents, crisply fastened bows and intricately placed beading. Emulating the style of 1920’s Hollywood glamour, this stunning wedding day ensemble has all you’ll need to make your wedding day a beautiful celebration. 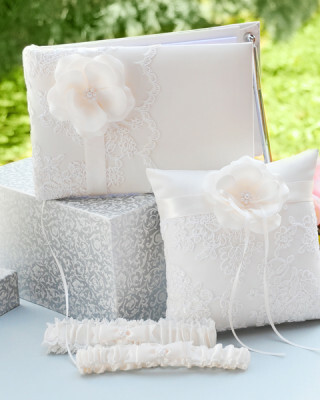 Wedding collection includes: Keepsake Garter & Free Tossing Garter, Guest Book with Pen and Ring Bearer Pillow. Items may be sold separately, but save 10% when purchased as a collection. 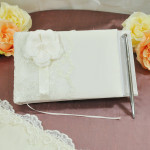 Size: Guest book with Pen measures 10.5 inches wide by 6 inches tall. 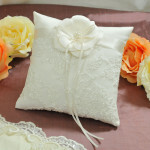 Ring bearer pillow measures 7 by 7 inches. Garter is one size fits most. Tag: Vintage Lace Wedding Collection. Proudly providing event rentals and services to East Greenwich, Providence, Newport, Cape Cod and Boston as well as many other Rhode Island and Massachusetts communities.